Tidy & Bright! 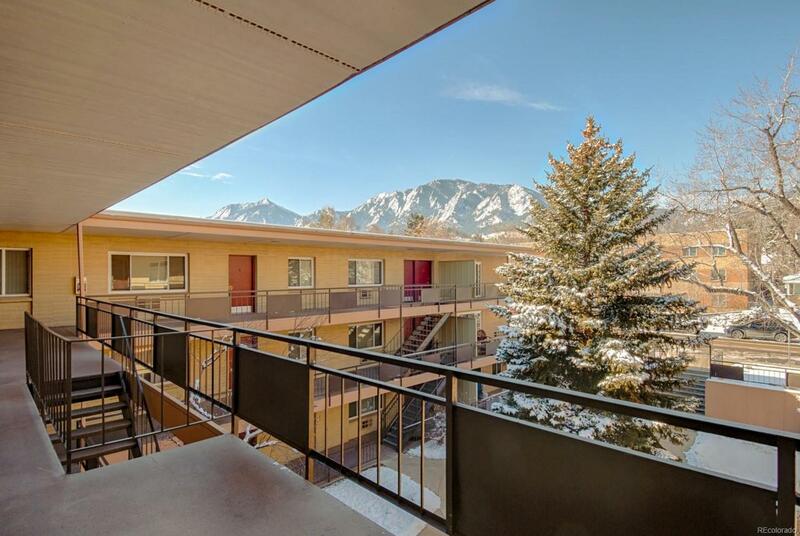 Nice investment condo across from University of Colorado campus. Well-cared for & nicely situated on the 2nd floor. Property receives great morning light w/ south & east exposures. Hardwood floors. 1 reserved off-street parking space (#18). Hoa features rec room, exercise equipment, sauna, seasonal pool & laundry facilities. Also storage locker w/ ample room for toys. Quiet complex. Located on the Hill close to shopping/amenities/food & literally 1 block to campus. Go Buffs! Yes!